Kiev has asked Russia to extend the discount on gas at the expense of the export duty rate until the end of 2015, Russian Energy Minister Aleksandr Novak said. "They have long appealed to us, they want that we grant it until the end of the year," Novak said Saturday, referring to the discount on Russian gas. He added that Russia has received an official request from Ukraine on the issue, but no trilateral negotiations on Ukrainian gas are expected until June. Russia, however, may take into account Kiev’s failure to repay its debt when deciding on a discount for gas supplies, he said. At the end of March, the Russian government approved a discount for Ukraine valid until June 30. It said the discount on natural gas supplies would be equal to the export duty rate, but shouldn’t exceed $100 per 1,000 cubic meters. In April, Novak said that the decision on providing a discount for Russian gas supplies to Ukraine will be made every three months. Earlier, Gazprom CEO Aleksey Miller said that Ukraine's demand for Russian gas had doubled since May 1. Russian gas supplies to Ukraine increased already in late April and amounted to around 12-13 million cubic meters per day. 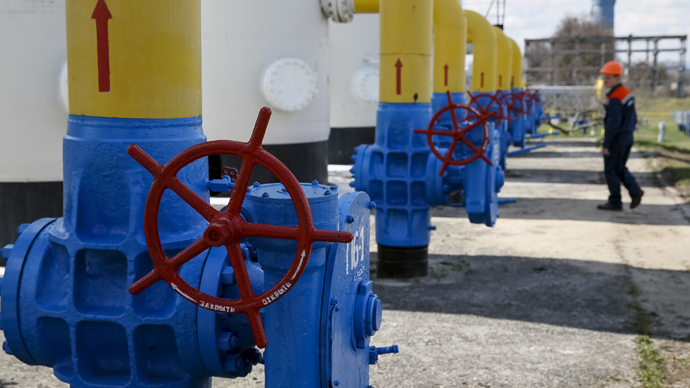 Moscow supplied to Kiev 273.5 million cubic meters of gas in the first 28 days of April.